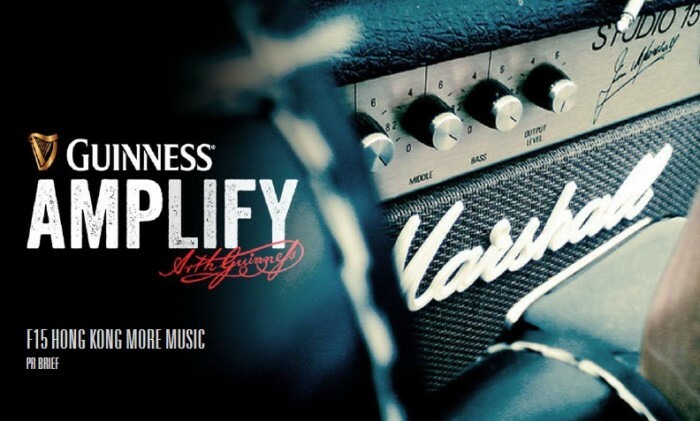 Advertising agency Banana has entered into a full year deal with Carlsberg Hong Kong to bring the company’s global music platform Guinness Amplify to Hong Kong. Carlsberg is the official distributor for Guinness in Hong Kong. Banana, which signed as a member of the HK4As member this month, will be responsible for the Guinness Amplify 2014’s digital activation, traditional advertising and offline promotion including branded music concerts. The campaign, launching at the end of the year, will celebrate the boldness of Guinness by bringing its global music platform Guinness Amplify to Hong Kong, complete with a series of music experiences under a slogan “Always-on”. Ogilvy Public Relations Hong Kong takes over PR duties from Cohn & Wolfe-impactasia. Chris Choi, chief operations officer of Banana, said the new program will see more music curated content, rewards and live experiences and provided in collaboration with music industry partners. Based in Hong Kong, Banana started as a production house in Greater China in 2010. It counts Philip Morris, MHD – Johnnie Walker/Hennessy/Moet, Carlsberg – Kronenbourg 1664/Somersby, Diageo – Guinness, Fashion One, and FANCL, HK Airline, Chow Tai Fook and Blue Girl among its top clients. The brand, owned by New World Development's hospitality arm Rosewood Hotel Group, enters Thailand under a new agreement with a loc.. Here are some brands who are helping change the face of fashion. ..